For most young travellers, they would rather visit an ancient town like Hoi An just for a day because the slow and chill atmosphere there could make them bored on the second day. 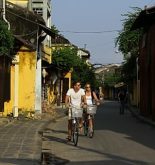 This article will cover what those travellers should do to enjoy the most of just one day in Hoi An. Rent a motorbike and travel around Hoi An. Let’s start an interesting day in Hoi An by waking up at 6 AM and take some exercise by walking to one of the best Banh mi in town that was featured on CNN Travel and highly praised by tourists – Banh Mi Phượng (2B Phan Chu Trinh) for breakfast. After that, take a “Xe ôm”, taxi or your rented bicycle/motorbike and head to Cua Dai beach or An Bang beach for chilling and swimming which is just about 20-30 minutes drive from where you eat the breakfast. If you’re not into beaches, take a Hoi An countryside bike tour to discover the charming and homely beauty of the countryside as well as the town. 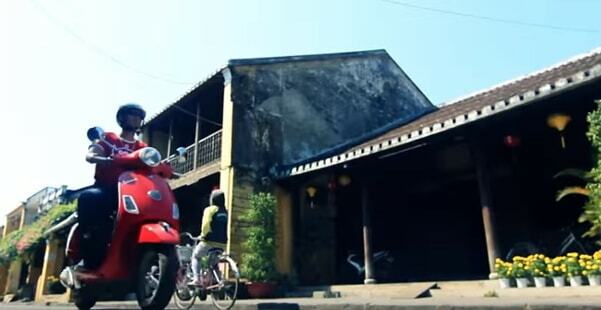 The most recommended bike tour is Heaven & Earth Bicycle Tour located on 57 Ngo Quyen Street. Also, there is a boat tour to discover the local life if you’re interested in. The tour is called “Half-Day Boat Tour Exploring Local Life including Cycling” which could be easily booked from Viator.com. 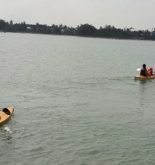 So let say you hang around by the beach just for 2-3 hours and by 11 am your already back to the centre of Hoi An. And it’s time for lunch after all those activities! This time, have the most unique cuisine in Hoi An – “Cao Lau” (noodles with pork) inside Hoi An central market on Tran Phu street. “Bà Bé” is the most renowned place for Cao Lau in Hoi An but if you don’t need for the best, then Cao Lau restaurants are everywhere for you to choose on the streets of this ancient town. –Assembly Hall of the Fujian Chinese Congregation – opposite 35 Tran Phu: a step to discover the old history of Hoi An. –Ông Pagoda (24 Tran Phu) – One of the most celebrated pagoda in Hoi An from the 17th century. –Tan Ky Ancient House – 101 Nguyen Thai Hoc: a well-preserved house built from the 19th century by an ethnically Vietnamese family that featured both Japanese and Chinese signs through the architecture. –Skewers rolled with rice papers and vegetables: on Hai Ba Trung street. –Bánh Vạc (White Rose Cake): a very simple dish with an exciting touch of flavors. –Bánh Tráng Nướng/Bánh Kẹp (Grilled paper cake): made from rice papers, eggs and pork meat, grilled. –Bánh Bèo Hội An (Hoi An’s rice cake): a different take of Hoi An to this unique traditional Vietnamese dish. –Chè Bắp: a simple but amazing dessert for those snacks made from corns and corn milk. Hoi An is probably most beautiful from 4 pm to 7 pm as the sun starts to go down and the lights from the lanterns along the streets of the Old Town starts to glow. 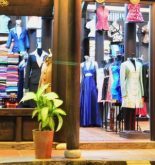 Thus, this is the perfect time for walking and taking photos of Thu Bon River, the streets, the shops under the warm, charming vibe of the twilight. Do all of the shopping you want during this time. Don’t forget to stroll by the Japanese covered bridge on Tran Phu street. For dinner, give a try at Nữ Eatery (10A Nguyen Thi Minh Khai). Among all the good restaurants in Hoi An, Nữ Eatery was chosen for its creative, tasty and healthy dishes with reasonable prices. The cuisine here is a fusion between Vietnamese traditional, French modern and vegetarian touch on the ingredients choices. –Hoi An Roastery (136 Tran Phu street): the most renowned café in town. –Dive bar – 88 Nguyen Thai Hoc: the finest bar in Hoi An that plays contemporary electronic music. –“Bai Choi” Musical Performance and Game – Alongside Thu Bon River. If you’re going with a partner, a walk alongside the river with the one would also be a nice way to spend the evening in Hoi An. At last, this guide is just a list of suggestions. Sometimes it’s better to be unexpected, try things that unplanned. Therefore, do whatever suits the most and hope you find this guide helpful.